Lockheed Martin announced today that it will offer the T-50A in the U.S. Air Force’s Advanced Pilot Training (APT) competition. The T-50A was developed jointly by Lockheed Martin and Korea Aerospace Industries (KAI) to replace the T-38 and train the next generation of pilots to fly 5th Generation aircraft. 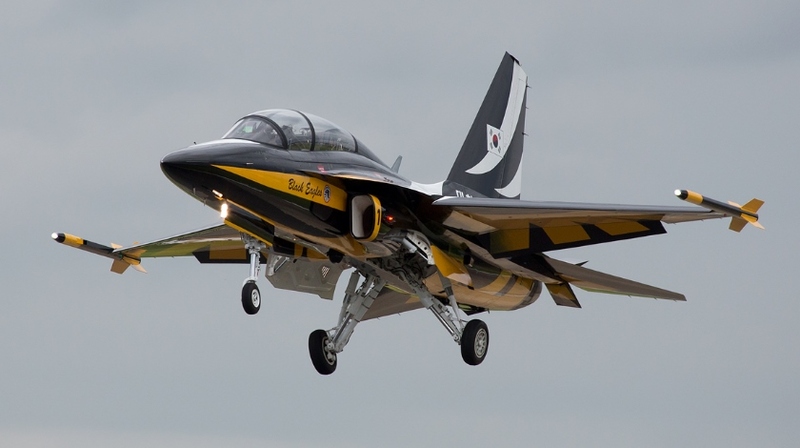 Lockheed Martin also announced that it has selected the company’s Greenville Operations facility in Greenville, South Carolina, as the preferred Final Assembly and Checkout (FACO) site for the T-50A. The T-50A delivers the fighter-like performance and capabilities needed to eliminate 5th Generation training gaps and inefficiencies. There is no more effective or affordable way to train the next generation of pilots to fly, fight and win. Lockheed Martin’s accompanying T-50A Ground-Based Training System (GBTS) features innovative technologies that deliver an immersive, synchronized ground-based training platform. The agile T-50A GBTS applies lessons-learned from decades of training with leading-edge technologies to deliver a cost-effective advanced pilot training solution. Lockheed Martin has a long and successful legacy of delivering advanced aeronautics systems and training platforms. Lockheed Martin is leveraging that proven expertise to deliver the lowest-risk, on time advanced pilot training solution to the U.S. Air Force.